It can be difficult to eat healthy for you and your children. But with proper planning, you can make better choices and give your kids delicious and nutritious meals! 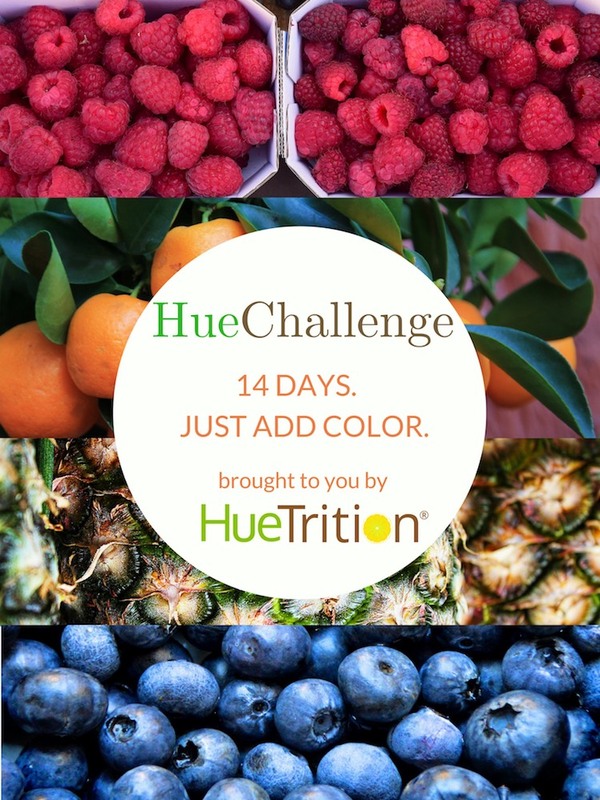 Right now Huetrition is doing a 14-day challenge. They want to encourage people to fill 1/2 of their plate with color! This video on their Huetube channel is the first video in a series called Your Plate is Your Canvas. It will help you focus on filling your plate with delicious and healthy colorful food. This video is all about BLUE foods, and next up will be RED foods. Make sure you keep coming back because they will also cover yellow, orange, green, and white foods. What’s your favorite blue fruit or vegetable? Always keep blueberries in your house and eat 1/2-1 cup per day. It’s the perfect snack, and it’s filled with potassium, vitamin C, fiber and many antioxidants! (You will learn more about antioxidants in this video.) 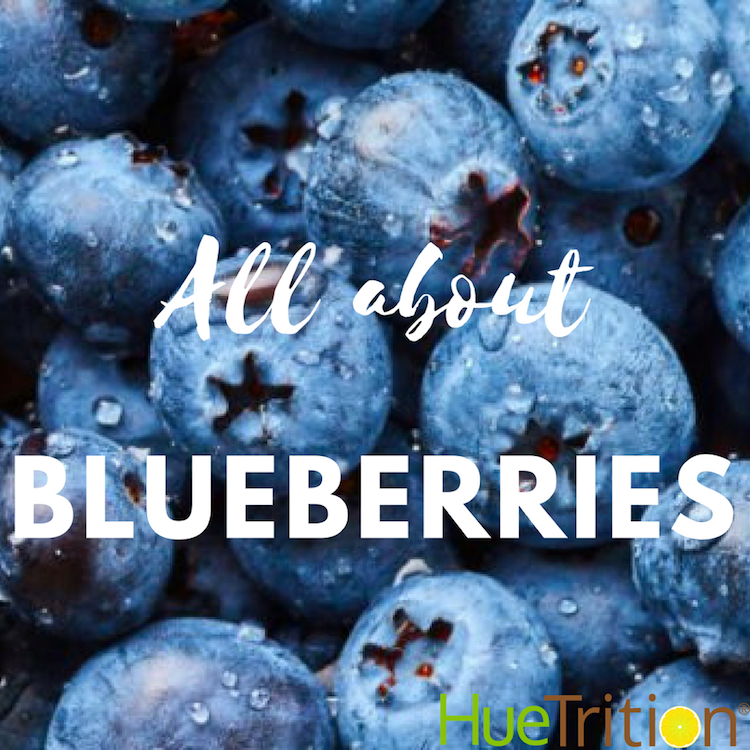 Blueberries are a super fruit you want to fill up your plate with! Can you fill 1/2 of your plate with color! Fill your plate with blue and purple foods. They help strengthen your bones and improve memory! Are you joining our challenge? 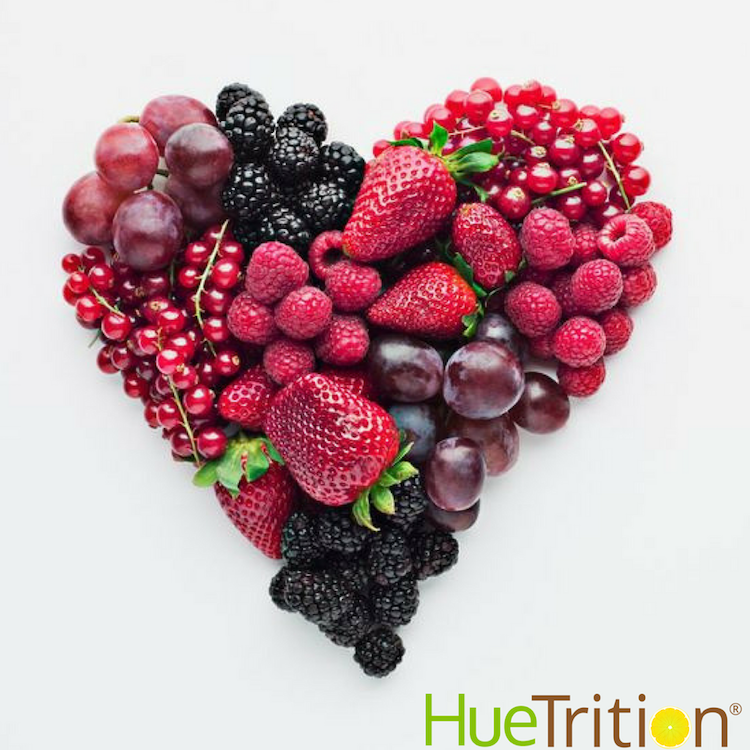 Use the hashtags #HueChallenge and #HueTrition and share on your Facebook, Instagram, or Twitter page with an image of your plate. You will have an opportunity to share the link in the giveaway below for an additional chance to win a $25 Gift Card! Subscribe to their Huetube channel, so you can watch episode #2 – which is all about RED foods! 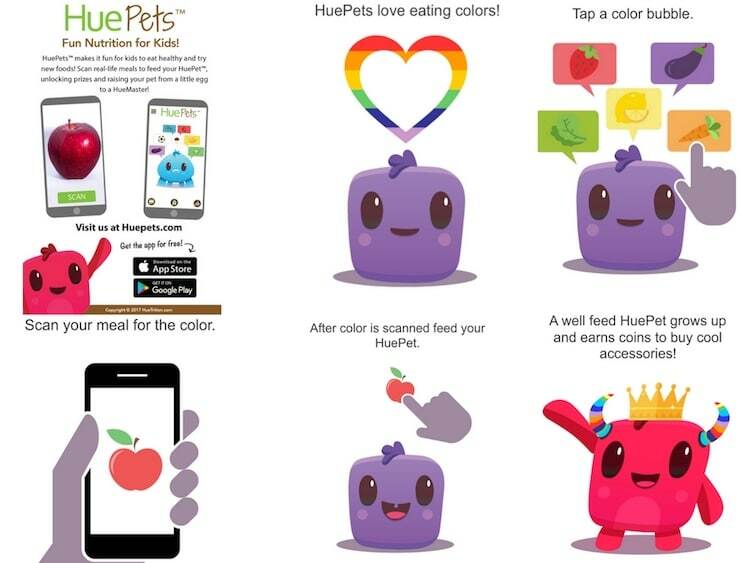 The HuePet App is a great way to help encourage your kids’ to get excited about eating healthy foods! The goal of this app is to encourage the active, balanced, and healthy lifestyle that includes a daily variety of vegetables and colorful fruits. Ideally, 6 colors (at least 5 servings per day) from an early age while encouraging sensible choices for the planet. 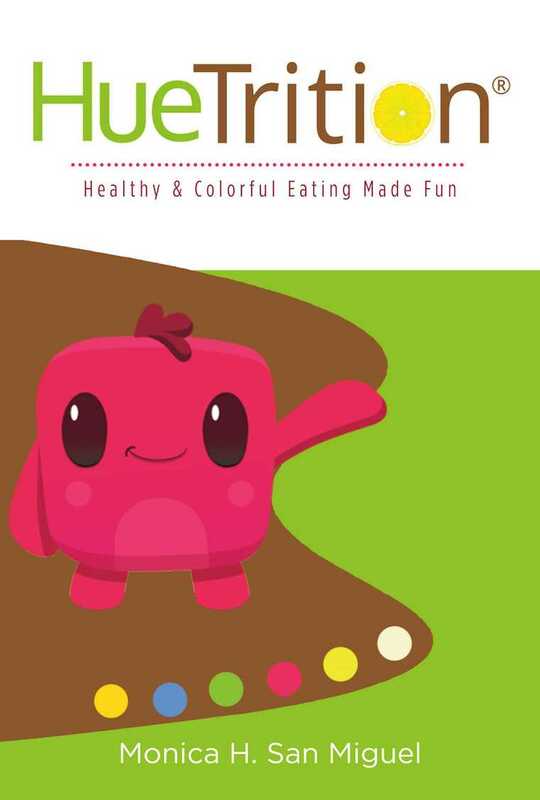 Get the new HueTrition eBook right now on Amazon! If you or your family have been struggling to eat enough fruits and vegetables, or if you are wondering how to shift to a more plant-based way of eating, or if you just want some new ideas to incorporate nutritious color into you lifestyle, this is a great book for you! You’ll learn how to substitute your snacks and side dishes with colorful vegetables. The more you do this, the more you’ll notice improvements in your energy levels and weight—but more importantly, you’ll be on your way to fool-proofing yourself against chronic disease (coupled with regular physical activity, of course)! Now for the giveaway! Someone is going to win a $25 Amazon Gift Card! This giveaway is open to US Residents and ends on July 17, 2018. I always try to prepare a colorful plate at every meal. Even legumes (that are mostly known to be brown) come in red varieties.